Use MoreApp instead, go digital and save trees! It reduces the energy consumption, we do it in our offices! Don’t forget to switch off the light when you leave the office! Are you fed up with traffic jams? 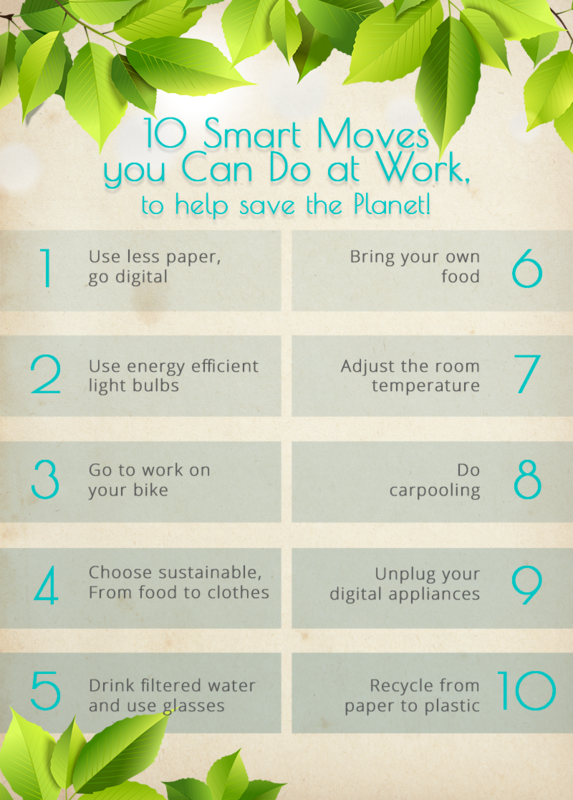 Use your bike instead, you'll make a great move for our beautiful planet and you'll arrive at work energised! From food to clothes, try making smart choices: instead of using plastic bags opt for a tote bag. Did you know that the MoreApp clothing is made of organic cotton? Use a jar of filtered water instead of buying bottles, and try not to use 1-time coffee cups anymore. Much more fun to drink from your own personalised mug! Bring a glass container at work for your lunch, it reduces plastic consumption and you will be much more happier to eat what you cooked! Did you know we have Meatless Monday at the office? Try not to level up/down the temperature in an excessive way at the office, put a sweater instead or open the door/window to get some fresh air. If you can't come at work biking or walking, try to find a colleague who lives nearby in order to reduce pollution and traffic jams. When you don't use them, unplug them! In addition to paper and plastic, electronics can also be recycled! If you want to make a difference, start with yourself. Remember, simple and small changes make great improvements!